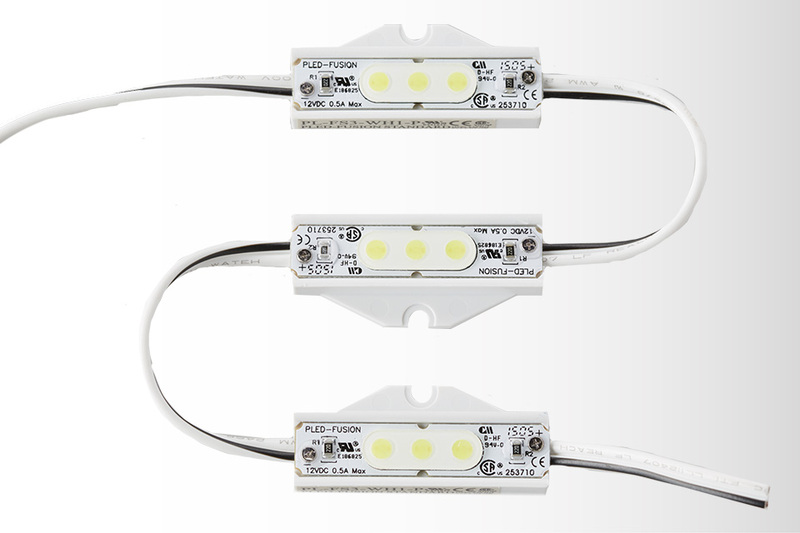 Don’t leave your reputation to depend upon yesterday’s LED technology. 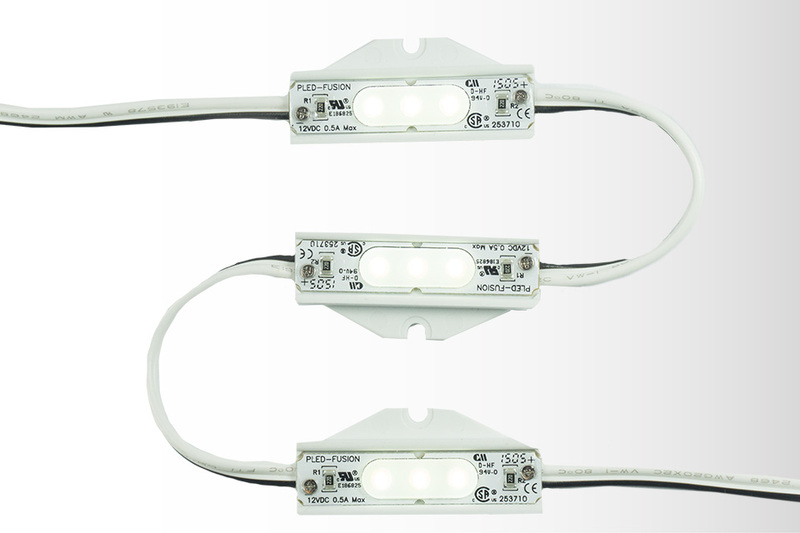 Principal LED’s Fusion series is designed to have the best possible heat dissipation by utilizing our proprietary Direct Mount (DM) technology. 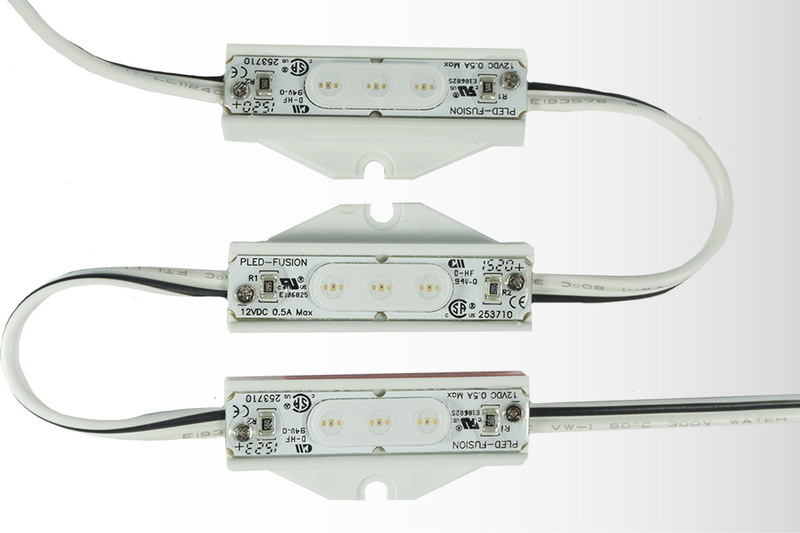 Fusion Channel Letter modules have a proprietary die encapsulated optic that gives an almost full 180 degree lambertian emission angle from the module surface and its size can fit into any channel letter. Our manufacturing process utilizes 100% automated pick-and-place technology to ensure every module is made the same way every time. We back all of this up with a 5 year product and 5 year labor warranty that covers up to $500 of labor costs per location. Fusion CL 2™ | 2 Mods/ft. Fusion CL 3™ | 3 Mods/ft. Fusion CL 4™ | 4 Mods/ft.